For Your Consideration, this comedy isn’t the best from Christopher Guest. Having worked in the mock-documentary format since This Is Spinal Tap, Christopher Guest has ditched the form in his latest movie, For Your Consideration. You’ll hardly notice, though, since the movie takes place in an area (show business) that lends itself to being viewed through the prism of media coverage. What’s much more noticeable is that, as funny as this movie is, it’s not on the same level as Guest’s other comedies. It takes place on the set of a low-budget independent film called Home for Purim, which hilariously manages to be derivative of five different kinds of bad indie flicks (family reunion, Southern, Jewish, gay, terminal illness). The trouble, for both Home for Purim and For Your Consideration, starts when Oscar buzz builds for the performances of its cast members, all longtime strivers who’ve enjoyed precious little success: lead actress Marilyn Hack (Catherine O’Hara), lead actor Victor Allan Miller (Harry Shearer), and supporting actress Callie Webb (Parker Posey). The buzz is prompted by an internet rumor that improbably surfaces while the film is still shooting. This is just one of many details that comes out wrong, and together they conspire to sink For Your Consideration’s attempts to satirize the world of independent cinema. We never see Home for Purim playing the festival circuit or developing an internet presence, and its good reviews are puzzling when the excerpts we see are avert-your-eyes bad. 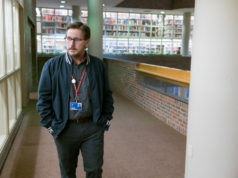 The head of the studio (Ricky Gervais) pressures the filmmakers to play down Home for Purim’s Jewish content, when surely a real-life executive handling a low-budget film with no stars would be pushing in the other direction and trying to make the movie more ethnic. Still, that story point gives rise to the executive’s line, “I’m a Gentile, but you don’t see me stopping people on the street and asking them to look at my foreskin.” The cast, composed of Guest’s regulars plus a few talented outsiders such as Gervais, comes up with more than their share of laugh lines. Jennifer Coolidge as a producer approving Home for Purim’s amateurish poster art: “Somebody killed their children and made them into cookies! I wanna go see that!” Nina Conti as a tv weathercaster/ventriloquist whose monkey puppet starts flirting bizarrely with the anchorwoman: “Oh Sanchez, if only it were your hand instead of Nina’s.” Shiniest of all is Fred Willard, who’s pricelessly funny even when totally miscast as the host of an Entertainment Tonight-style tv show. The movie finally hits its stride late in the going, when the Hollywood hype machine overtakes the actors of Home for Purim (now re-titled Home for Thanksgiving), as Victor makes a fish-out-of-water appearance on a hip-hop dance show and Marilyn gets what looks like the Botox treatment from hell. Even as it follows these characters to their fate, though, the movie’s ending reminds us that Guest did this same story to much more powerful effect in Waiting for Guffman 10 years ago. For Your Consideration is probably just a victim of the extraordinarily high standards set by its creator, and it’s still funnier than the majority of comedies Hollywood puts out on a yearly basis. 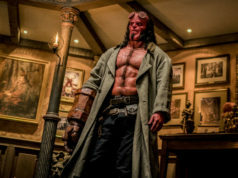 Nevertheless, with Borat and Tenacious D tearing up the screens right now, this movie can’t help but look a bit pallid. 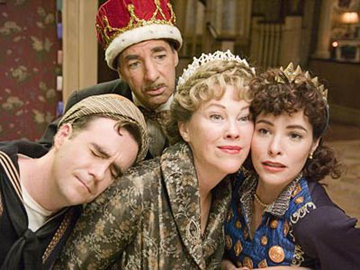 Starring Catherine O’Hara, Harry Shearer, and Parker Posey. Directed by Christopher Guest. Written by Christopher Guest and Eugene Levy. Rated PG-13.